Our top Secret time-saving technique for creating and merging balloons and tails in Illustrator. Welcome to the innermost* top-secret realm of Comicraft Lettering Knowledge, wherein you will glimpse the incredible time-saving technique known as…. THE LAYER METHOD. This brilliantly simple and essential piece of our lettering process sprang straight from the uncommon mind of Comicraft letterer Albert Deschesne way back in 1997. Even though Illustrator now has a non-destructive “Add to Shape Area” feature, we still consider this the fastest and easiest way to letter a page! 1. 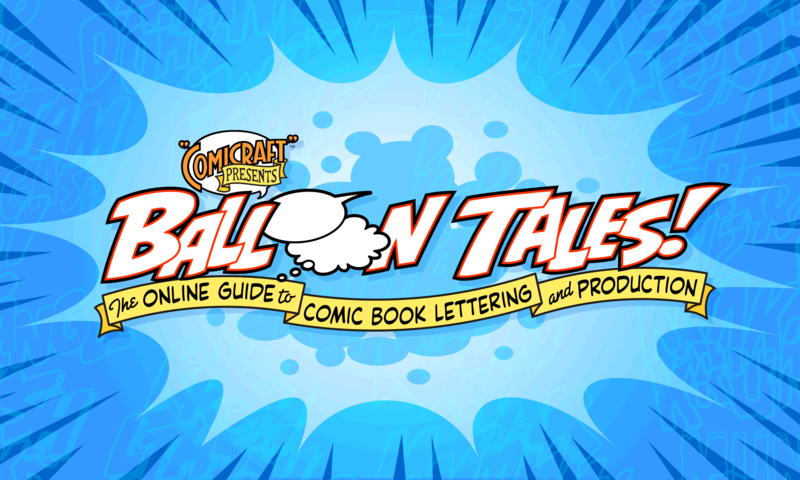 Create Layers in your Illustrator document for Lettering, Top Balloon, Tail and Bottom Balloon. If you’re working over a scan of placed artwork, create a Layer for that as well. If you’re not familiar with using Layers, click here for our guide. Input (or copy and paste) your text on the “Lettering” layer. 2. Click on the “Bottom Balloon” layer and create a balloon around the text using the oval tool. Set the stroke to TWICE what you want the eventual thickness to be. 3. Copy the balloon and Paste in Front to create a duplicate in the same location. Set the stroke on this balloon to “none”, and click and drag the little colored square in the Layers palette to move it up to the “Top Balloon” layer. 4. Click on the “Tail” layer and draw a tail with your regular stroke thickness. Since the Tail layer is between the two balloon layers, it appears joined to the balloons, yet the objects remain separate, making changes and edits insanely easy! 5. To create an overlapping balloon, simply select the text and both balloons with the Cursor tool, hold down Option and drag to make a copy. Likewise, the balloons will appear joined while remaining separate objects. No thanks are necessary… just remember Albert in your will. *Or at least right next to it. The true innermost secrets of Comicraft are spoken only in hushed whispers, and unfortunately not even our own dedicated craftsmen can figure out what the other comicraftsmen are saying. It’s that secret.